Go for the chip that doesn't miss. Go for GoChip. GoChip is highly accurate, ultra-reliable, and can be worn anywhere. It's everything a timing chip could and should be. GoChips can record times up to two metres above the activation loop and at speeds up to 160km/h. A GoChip timing system also requires an android phone and wire loop. 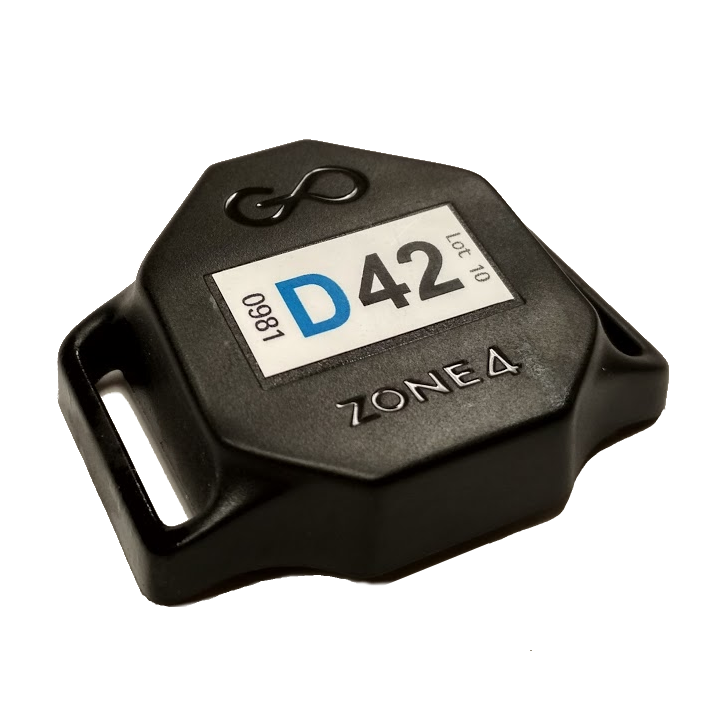 For more information or to request a demo, call us at 1-888-444-0199 or email support@zone4.ca. Why don't you just use those disposable chips like they do in running? The reasons are many, but ultimately it comes down to accuracy, reliability, ease of use, and portability. Learn more about Active vs. Passive Chips. Yes, GoChips are a completely sealed unit and are suitable for triathlon, stand-up paddleboard, open-water swimming, and any other application where waterproofing is important. 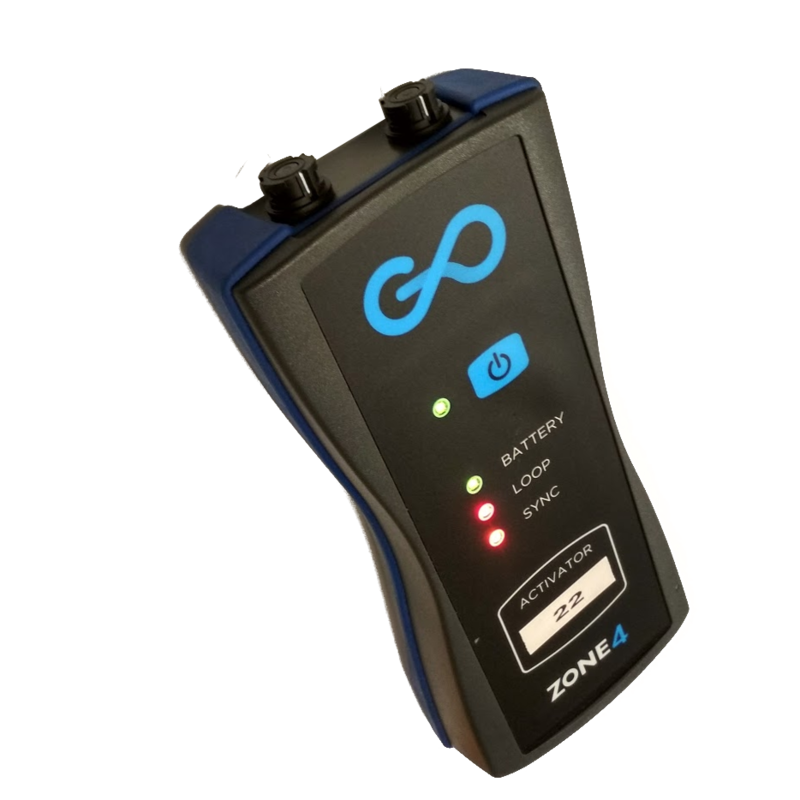 We provide a four-year warranty for battery life on GoChips. The actual battery life will depend on usage, the chips turn off when they are not in motion so if they are sitting in storage for half the year they will last a lot longer than if they are in use every weekend. Can the Timing Loop be buried in the ground? Yes, if you have a fixed stadium then burying the timing loop under dirt or concrete can be a great way to save time. Does GoChip work for motorized sports? Our most common chip is designed for human-powered sports, but a version with ultra-durable casing and a larger battery is on the way. Can I attach the timing chip to a bicycle? We have two types of velcro straps that we use on GoChips, our normal strap has a soft back and is meant for attaching chips to racers' ankles, the other is a shorter strap with a rubberized back that works great for attaching chips to a bike frame or handlebars. When ordering, let us know which type of strap you prefer.